Bay ActivePT is offering Batemans Bay a complete personal training and group training service like you have never seen before! We will handle all aspects of your training from weight loss to toning, hypertrophy, nutrition, sports specific, rehab or simply improve on your general wellbeing. We will work with you through dynamic training sessions using a wide variety of equipment to ensure your reach your desired goals. 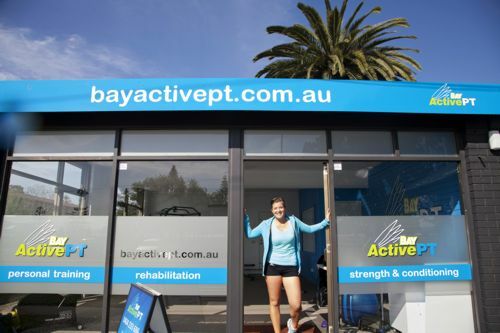 Bay ActivePT operates out of its indoor facility at 8 Old Princes Hwy, Batemans Bay. This fantastic Personal Training facility allows Bay ActivePT to offer its clients the best of what Personal Training and SQUAD (small group training sessions) has to offer, all that is missing is you. What to expect at Bay ActivePT? Bay ActivePT prides itself on its friendly down to earth service. Whether you are doing a 1-on-1 Personal Training Session, SQUAD (Small group Training) or the 30 min Blitz. Bay ActivePT strives to support each and everyone of its clients to achieve their goals. We will give you all the tools and assist in any way we can, so that you know you always have someone by your side for which ever journey you chose. So expect to sweat, laughter and smiles because the new healthier you is going to love it! Call Bay ActivePT now and make your dream a reality today! Come and join the Bay ActivePT team. Subcribe to stay in the Bay ActivePT loop! The information contained in this website is for general information purposes only and is provided by www.bayactivept.com.au. While we endeavour to keep the information up to date and correct, we make no representations or warranties of any kind, express or implied, about the completeness, accuracy, reliability, suitability or availability with respect to the website or the information, products, services, or related graphics contained on the website for any purpose. Any reliance you place on such information is therefore strictly at your own risk. You need to make your own enquiries to determine if the information or products are appropriate for your intended use. Through this website you may be able to link to other websites which are not under the control of www.bayactivept.com.au. We have no control over the nature, content and availability of those websites. The inclusion of any links does not necessarily imply a recommendation or endorse the views expressed within them. Every effort is made to keep the website up and running smoothly. However, www.bayactivept.com.au takes no responsibility for, and will not be liable for, the website being temporarily unavailable due to technical issues beyond our control. This website and its contents are the copyright of Bay ActivePT - © 2018. All rights reserved.